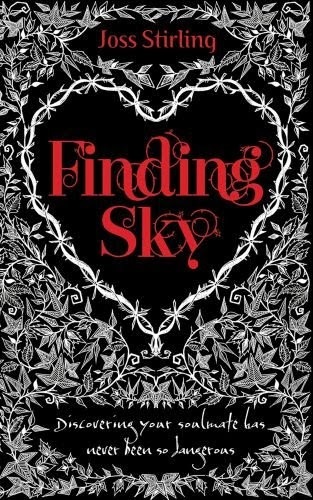 Finding Sky is a fictional paranormal romance book written by the author Joss Stirling. You can view a Youtube video about Finding Sky from the author's Youtube channel by clicking here. Blurb: When English girl Sky catches a glimpse of bad boy Zed in her new American high school, she can't get him out of her head. He talks to her with his thoughts. He reads her mind. He is the boy she will love for ever. Shadows stalk her past but a new evil threatens her future. She must face the dark even if it means losing her heart. Will Sky have the strength to embrace her power and be brave enough to control her own destiny, or will the demons of her past prevent her from realizing her true potential? Finding Sky is a novel which follows the story of English girl Sky Bright as she finds out more about her parents and forgotten childhood after she moves from England across the Atlantic to the small, snowy town in Colorado called Wreckenridge. While in Wreckenridge, Sky makes new friends as well as meeting Zed Benedict and his family who turn her world upside down and transport Sky into another world and help her understand more about where she comes from and who she is. 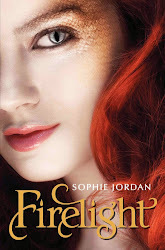 Finding Sky is the first instalment from Joss Stirling’s AMAZING Savant Series which also contains Stealing Pheonix (Book #2) and Seeking Crystal (Book #3) and the novella Challenging Zed. Excluding the main characters Sky and Zed my favourite character in Finding Sky has to be Xavier Benedict (Xav). Between the banter he shares with his brother, he cheeky chap personality and his ‘mad-about-sports’ attitude Xavier’s character is realistic. He stands out to me for many reasons including his cheeky chap traits, the way he looks out for his family and friends and being the sports man I think almost everyone can relate to Xavier in one way or another. I found that the other characters in Finding Sky are also well-written and therefore the author creates a realistic feeling towards them and makes you believe they are real people and not just characters in a book. Throughout the book I have a few parts which I really like and would consider them to be my favourite parts. One of the parts is a scene early on in the book when Sky’s new school holds an ‘activity day’ where Sky and her friends go white water rafting, as well as the amazingly realistic surrounds that Stirling talks about in the scene I found the friction it caused between Zed and Sky interesting and exhilarating. Another one of my favourite parts is when Sky, Tina and Nelson are watching the school baseball team play and the fact that Sky gets slightly overcome with a mix of feelings, including a hint of jealousy, interesting. And last but not least, another stand out moment in the book for me is towards the end of the novel when Sky is in Vegas thinking about Zed. I found the beginning chapter was a slow start to the book but interesting because of the way the author, Joss Stirling, writes in 3rd person, creating an ‘Alice through the looking glass’ feeling with the readers making them sympathise with the little Sky Bright and I feel that this particular scene was extremely well written. The book makes me feel an array of emotions throughout the pages including, happiness, sadness, joy, giddiness as well as disappointment, anger and despair in certain parts. The emotional spectrum that the book created sent was like a roller coaster, similar to the events in the book itself with up and downs all over the place which keeps the reader guessing and certainly surprised. This book is an amazing book which constantly kept me turning the pages and almost impossible to put down as the next chapter was almost as irresistible as chocolate. There aren’t many things in the book that I extremely dislike although I found the ending left me wanting more. However, even though I found this frustrating, it was a good technique to use as it kept the audience itching to read the next book in the series. My overall opinion of the book is that it is extremely enjoyable and I would recommend it to my friends as well as an audience of early-middle aged teenage girls with a rough age range of 13-16/17 because the readers need to have a rough understanding of criminal activity and they need to be able to wrap their mind around how the savant differs from typical people and how their powers work. As well as this themes such as violence and related themes in the book would be unsuitable for audiences younger than 13, or maybe 11/12 depending on the reader. The book Finding Sky by the author Joss Stirling was brilliantly written for the intended audience. It kept readers guessing what would happen next as well as surprised as to what actually happened next. And the content, story-line and plot twists of the book were excellent. If this review has you interested in reading Finding Sky then you can buy the book by clicking here.